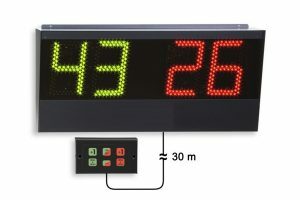 LED Electronic Badminton Scoreboard. Perfect for Schools & Clubs. Dual LED Scoring Digits with Wired Keyboard. Counts Up / Down….